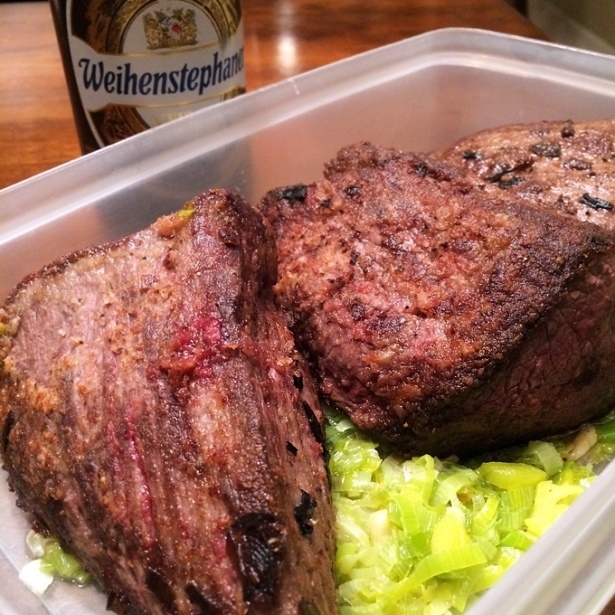 Slow cooked smaller cuts of elk loin with leeks and a wheat beer. 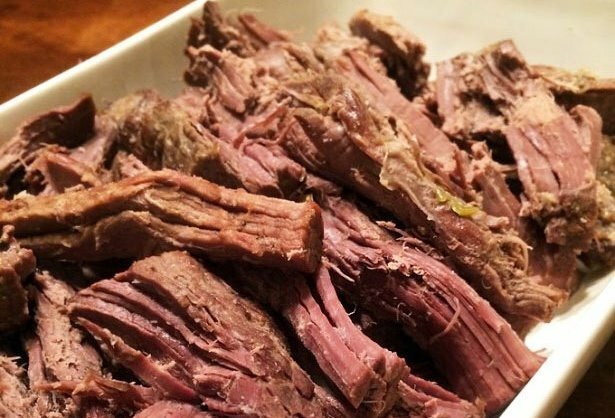 Shred the elk after slow cooking for ten hours and fry in a little canola oil to give it more crispiness similar to Carnitas. Make a roux gravy using the leek and beer broth and serve with mashed potatoes. In a Dutch oven or heavy skillet melt 2 tablespoons of butter and sauté leeks and garlic until they become soft and translucent. Remove and set aside. Dredge elk in a little flour shaking off excess. Add remainder of butter to the skillet and brown the elk on all sides. Remove from heat. Turn your crock-pot on to the lowest setting. Add elk, leeks, sage, beer, and beef broth. Be sure that there is enough liquid to cover most of the elk. If needed, add more beef broth. Cook on low for 8-10 hours. 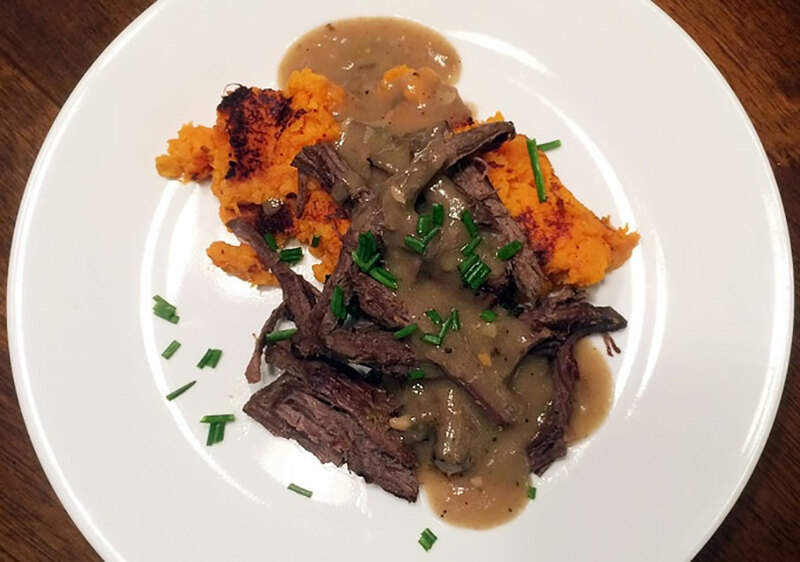 Remove elk from the crock-pot, season as needed and enjoy! On low heat, melt butter in a saucepan and add flour slowly stirring together. Cook for a few minutes and then slowly add the hot broth into roux while stirring at the same time. Your gravy will immediately begin to thicken. Bring to a simmer while stirring to avoid lumps in your gravy. Season with salt and pepper. Add more liquid if you would like a thinner gravy.